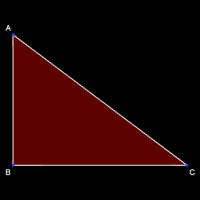 A simple Pythagorean Theorem calculator that accepts inputs for either two sides or one side and the hypotenuse, then calculates the remaining side using the Pythagorean Theorem. 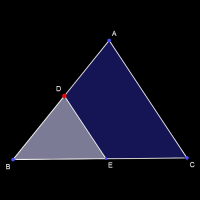 Both exact and approximate solutions are provided, as well as the complete Pythagorean Theorem version. 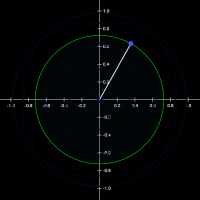 A circle is centered at the origin and its radius is defined by the distance between the origin and a point, P. P is defined by a polar function, u(t), and is located at the current value of t. Adjust t, or animate it by pressing ”go”. What is u(t)? 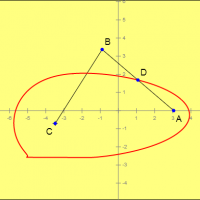 Look at the .gx source for the answer. 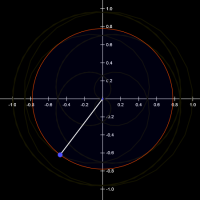 A circle is centered at the origin and its radius is defined by the distance between the origin and a point, P. P is defined by a polar function, s(t), and is located at the current value of t. Adjust t, or animate it by pressing ”go”. What is s(t)? 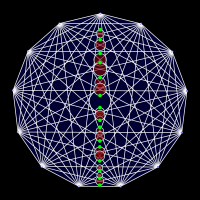 Look at the .gx source for the answer. 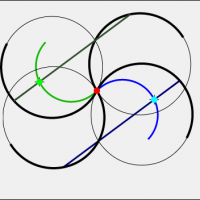 Five circles are centered proportionally around an ellipse according to functions of the variable r. Each circle’s radius is defined by the same function as its position, of r. Can you figure out the five functions of r which define the five circles? 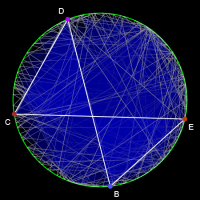 Download the .gx source for the answer. 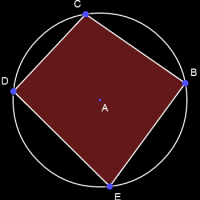 AB and AC are vectors. 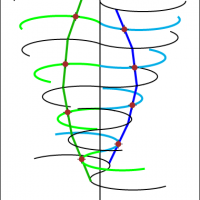 Vector AF is defined by t(AB) + s(AC) where t and s are scalars. 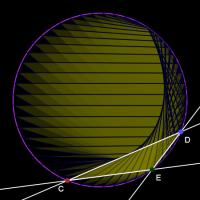 Drag E and D to change the scalars and see how using the scalars creates vectors in the plane defined by AB and AC. 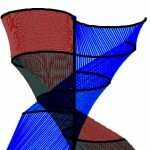 This model demonstrates that the surface of the Twisted Savonius wind turbine’s blades are geometrically squeezed as the twist angle is increased and the parametric position is moved up and down the turbine. Learn more about the squeeze. 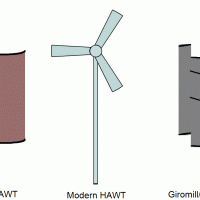 The Twisted Savonius Wind Turbine has promising applications for rooftop usage, but its high cost has kept it unfeasible for widespread adoption. 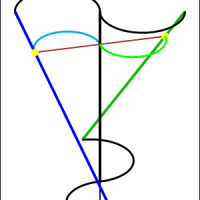 The Twisted Savonius Geometric Modeling project explored the geometric properties of the turbine’s shape, and proposed a more efficient method of construction and geometric design as a result. 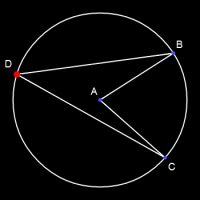 The chord angle theorem states that in an inscribed triangle (ABC) where A is the center of the circle and BC is a chord, and BDC is an inscribed triangle on the same chord, angle BDC must equal one half of angle BAC. 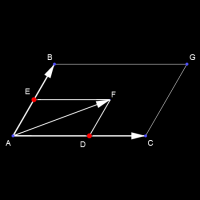 Try changing the angle and moving point D and observe the theorem’s truth. 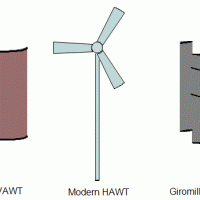 This app models the top view of the Twisted Savonius Vertical Axis Wind Turbine (VAWT). The various inputs and draggable points allow you to see how the model can trace the blades’ surfaces. 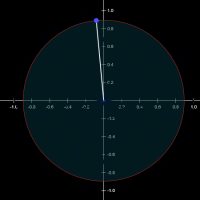 You can also control the twist angle, radius, and rotation – which makes the whole thing spin! 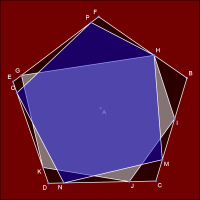 You’ll want to start out with the heptagon and work your way up. 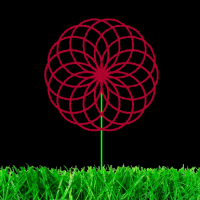 This one’s the same as all the others, just with a 13-sided regular polygon. 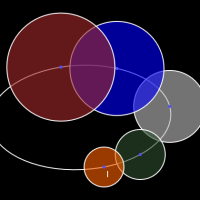 Observe the tangencies to diagonals of circles centered at intersections of diagonals, when the circles are resized (by dragging).